When dropping folders into FileBot, then FileBot will load all the media files in that folder (videos, subtitles, music, etc). What if you only want to process video files but ignore subtitles or nfo files? 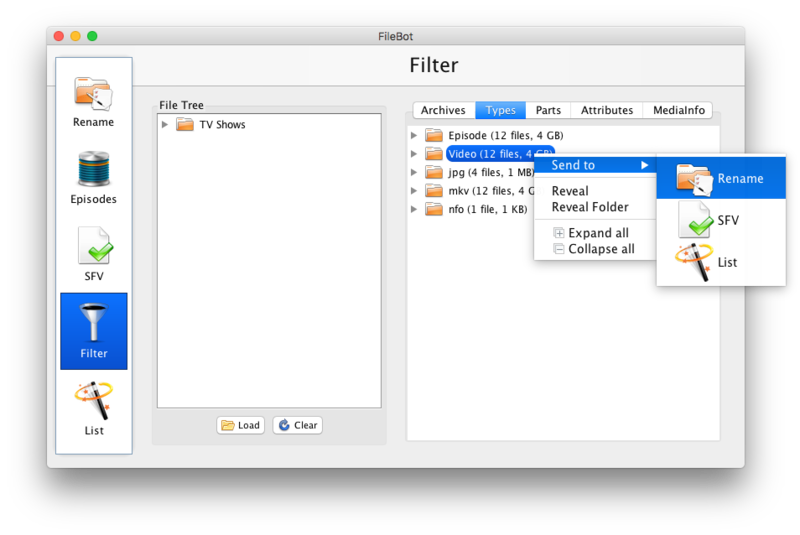 Drop your folders into the Filter panel let FileBot categorize files by their type, and then either drag-and-drop them where you want them to be, or use the Send to menu. Rather than dropping folders, just drop specific files instead. Search for the files you want (e.g. 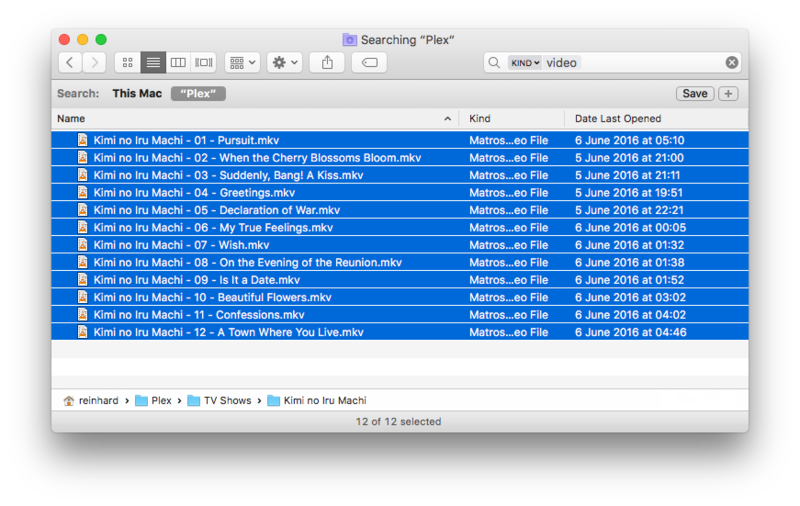 search for *.mkv in Windows Explorer or kind:video in Mac Finder) and then select all the files and drag them into FileBot. Presets allow you to set a default folder from which files are loaded and file filter expressions that allow you to include or exclude files. filebot -rename -r /path/to/files --file-filter "f.isVideo()"
Power Users on Linux or macOS may prefer to use standard Linux tools to select files and pass them on to FileBot.